It's one of those recurring debates in the digital age: Why are so few women working in technology? Just 9 percent of chief information officers, or CIOs, are women, down from 11 percent last year and 12 percent in 2010, according to a survey released Monday by tech-staffing firm Harvey Nash Group (via Reuters). About a third of the companies polled said their information technology unit had no women at all within management, yet only half of firms said that they consider women to be underrepresented in their IT departments. More broadly within the field, women hold just 24 percent of high-tech jobs, according to a recent FINS.com analysis of 2010 data; that's down from nearly 26 percent in 2001. And yet there is no shortage of women involved with social media networks, according to a recent Nielsen report (via FastCompany). Trends in education suggest that there's little improvement on the horizon, with the percentage of undergraduate degrees in computer science earned by women having declined since 1984. Many people blame the decline on tech's reputation as a male-dominated field, where casual sexism reigns. 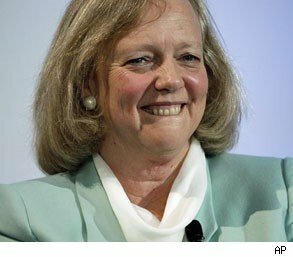 One in 10 Fortune 500 companies, which include many tech firms, have no women in the boardroom, although the two largest Fortune 500 companies run by women are both in the tech sector: Hewlett-Packard Co., which named Meg Whitman (pictured above) its CEO last fall; and IBM, where Virginia "Ginni" Rometty took over as chief executive earlier this year. But is the outlook as bleak as the numbers suggest? This infographic below from Rad Campaign, an Internet design and social-media strategy firm, offers some interesting insights. Looking for a technology job? Click here to get started.